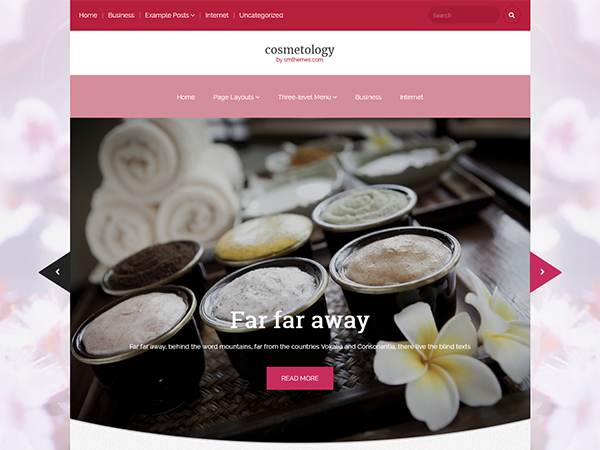 Soft, light and as if weightless, Cosmetology will become a good foundation for a women's blog. Its background designed in light pink and tender magenta colours is vernal like spring and uncommonly attractive for visitors. 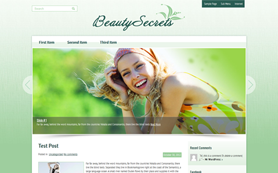 This free WordPress theme may be also quite suitable for household chemicals promotion or cosmetics and perfume display. 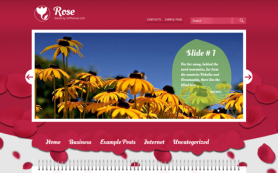 Take advantage of the simple and clear interface of the theme! Download a free version of Cosmetology or enjoy it by buying the link-free one. Get the best for your business!